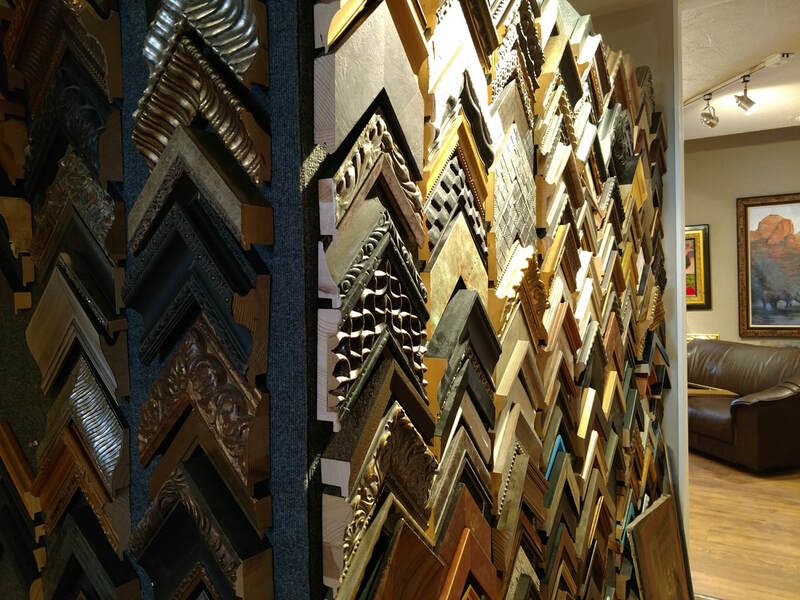 Eclectic Art & Objects Gallery's Frame Design Service is not to be confused with contract frame shops like Michael's and Pat Catan's that specialize in discounted all-occasion frame sales as their primary mission and service. Rather, our mission is to link professionals such as interior designers, architects, space planners, collectors, artists, office managers, and discriminating home owners with a unique selection of frame designs and solutions through a combination of "In-House" and external frame manufacturers and crafters from across the US and internationally. We have even designed a line of rustic frames which required the experience and skills of Amish wood workers. We provide a consultative design approach to custom frame solutions and fabrication as our primary focus and mission. 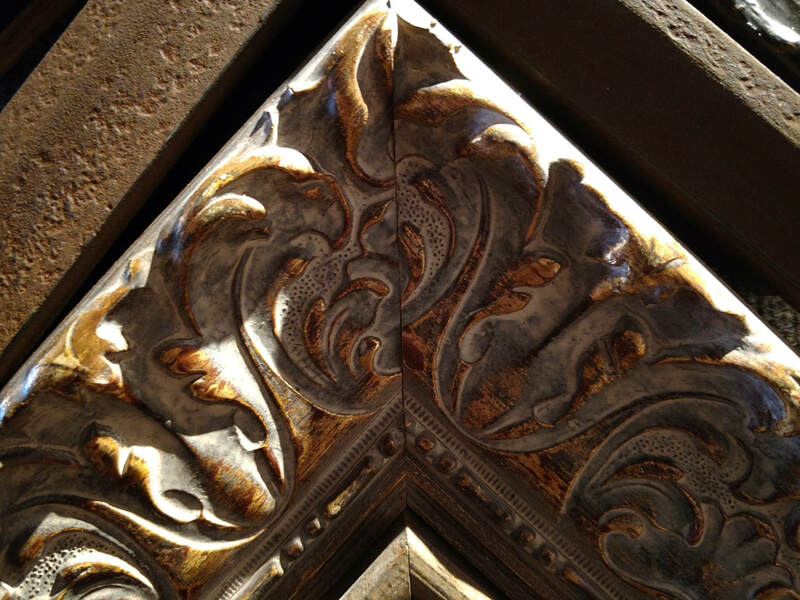 We listen to our clients and design the optimal frame solution for their artwork, treasured collections, and custom mirrors. 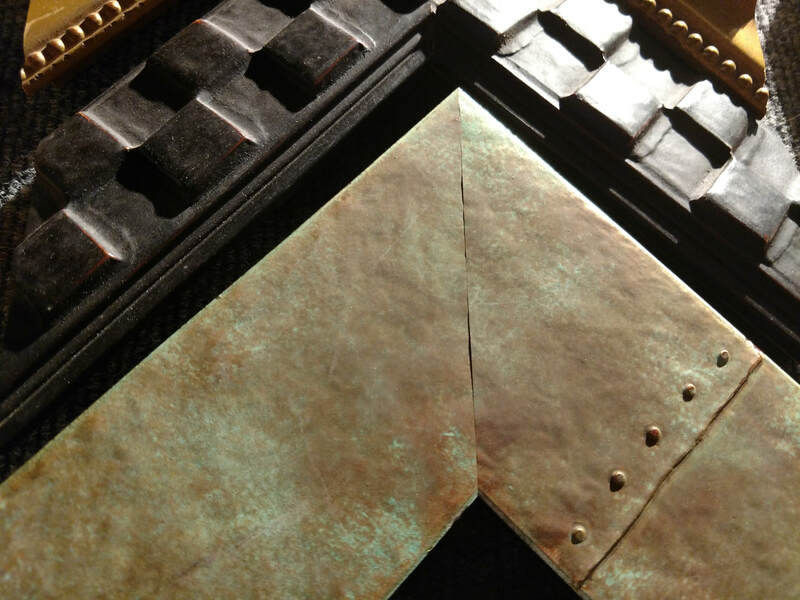 Our clients are part of the process that starts with a complimentary consultation and frame selection (many times two or more frame samples are combined to form a one of a kind alternative to the off the shelf frame selection. ​Once a frame design has been finalized and agreed upon the fabrication plan is finalized and materials are ordered. 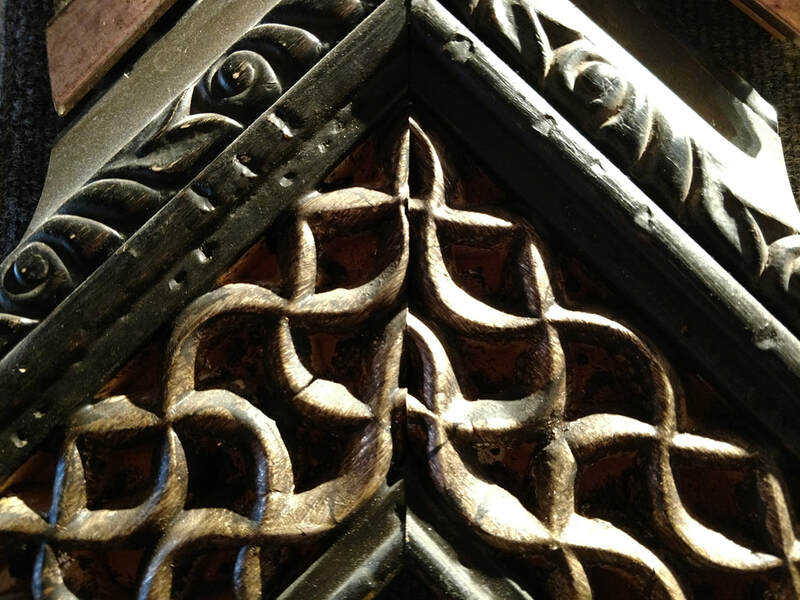 When necessary, we work with off-site fabricators and craftspersons to achieve specialty crafts such as wood carving, gold leafing and other specialties. A picture frame has the major function of supporting the artwork, mirror, photo, poster, certificate, or other two dimensional item. It has a rigid structural skeleton that is generally decorated to complement the item that it supports and often to match the design and theme of the room and wall that it occupies. 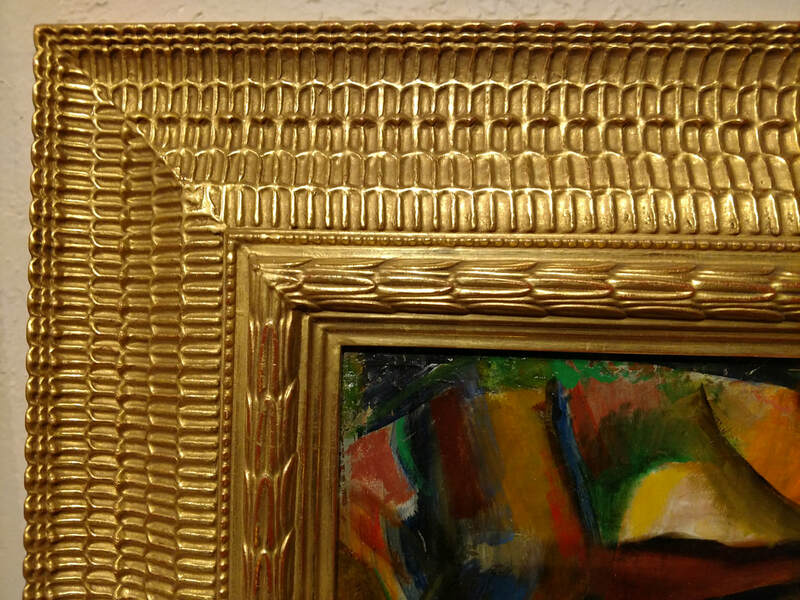 The frame also supports a protective glass panel which in addition to shielding the framed item from moisture, blunt objects, smoke and other art enemies, it also may include features such filtering out harmful UV exposure, reducing glare, and overall may increase the presentation appeal. 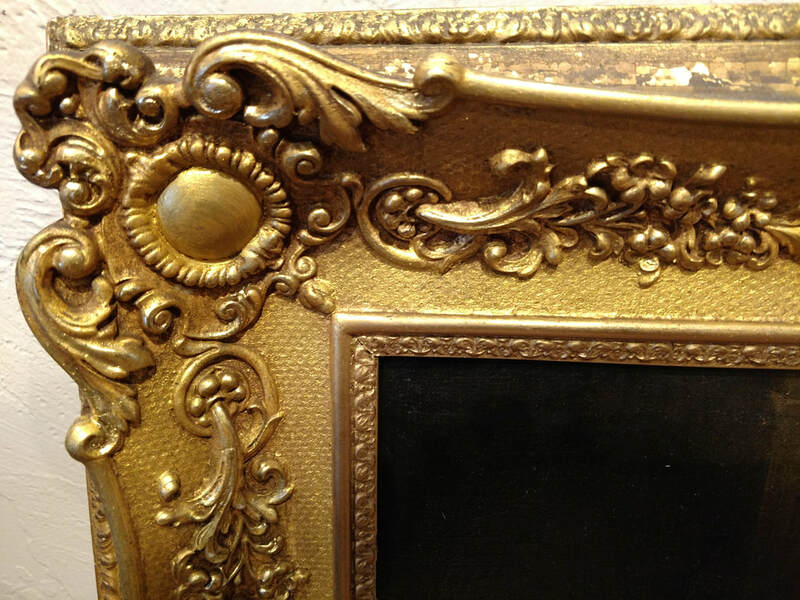 Picture frames also have a variety of functional hardware to hold the framed item in place, secure the Dust cover that serves to protect the back of the frame and ​artwork. And, finally the hanging hardware that includes a couple of eyelets that are screwed into the back of the frame to secure the hanging wire in place. The following information is designed to provide you with a comfort level when choosing a frame and frame designer. ​Our Custom Frame Designs can be hand crafted to your required size within a 1/8" tolerance of your picture size with the choice of vertical or horizontal aspect ratios. These frames range in price based on the materials used, width of frame stock, complexity of design, type of finish, and amount of hand work required in the manufacturing process. For example, many of our frames are manufactured here in the US and are generally mass produced in a manufacturing plant while our premium frame lines are often imported from Italy, Spain, South America and other off-shore resources that often feature hand decorated finishes and added shipping costs.